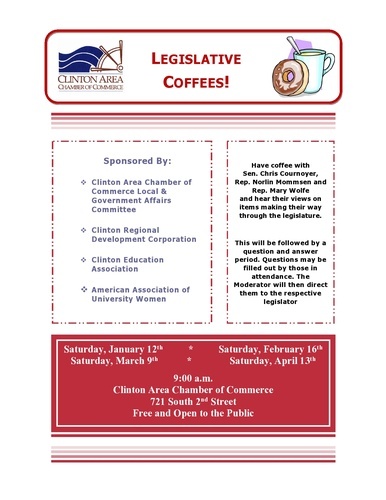 Have coffee with Sen. Chris Cournoyer, Rep. Norlin Mommsen and Rep. Mary Wolfe and hear their views on items making their way through the legislature. This will be followed by a question and answer period. Questions may be filled out by those in attendance. The Moderator will then direct them to the respective legislator.